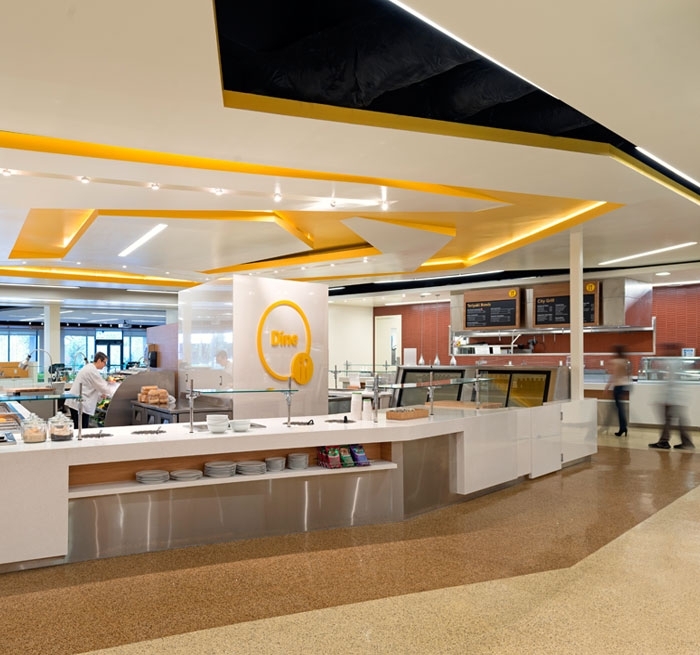 Known for “wall-to-wall innovation, inspiration and collaboration,” the Intuit Cook Campus Center is a campus building completely refurbished to encompass the Innovation Gallery (product staging area), conference center, commissary, recreation room and fitness center with locker rooms. Auerbach Glasow designed the interior architectural lighting for the project. Lighting plays a significant role in featuring the amenities of the Campus Center. The main reception area, fitness reception and coffee bars feature suspended modern decorative pendant fixtures. The reclaimed wood wall in the main reception area is highlighted with linear LED fixtures. Columns clad in blue acrylic panels and back lit with LED grazing light lead the visitor through the space. A line of LED blue light above and below a primary display wall defines the beginning of the Innovation Gallery. The 3,000-square-foot Gallery includes LED track lights to maximize flexibility and accommodate special events which may include 3D and 2D displays. Downlights are integrated into the decorative ceiling. The state-of-the-art, 13,000-square-foot conference center features control rooms with one-way glass, high-tech audio-visual technology and operable partitions to customize the meeting space. A programmable, dimmable lighting system records and recalls multiple lighting scenes for the different functions and configurations of the space. 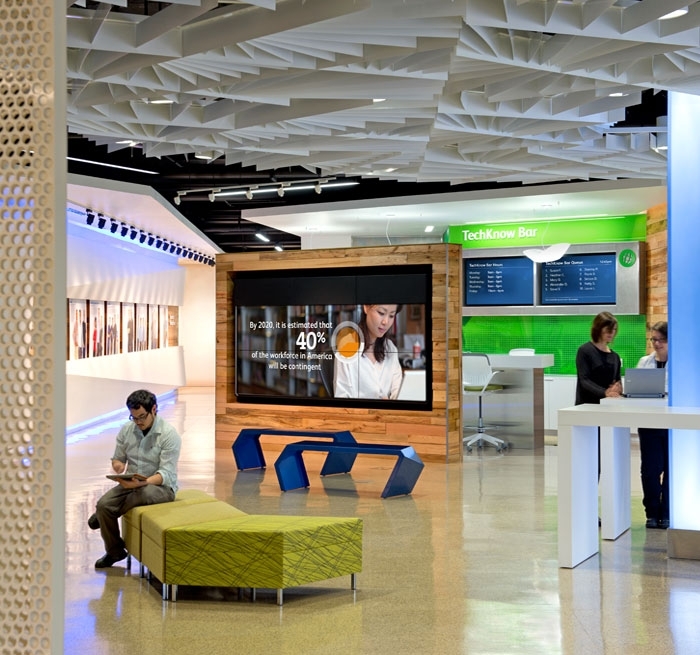 The Intuit Cook Campus Center is LEED Gold.